The South Shore Blueway Trail The South Shore Blueway Plan is made possible by the Village of Freeport, a Local Waterfront Revitalization Grant from the New York State Department of State under Title 11 of the Environmental Protection Fund and the Nassau County Environmental Bond Act. The South Shore Blueway Trail is a safe, legal network of water access points for human-powered boats and beachable sail craft, which allows people to experience the natural, scenic and cultural wonders of Long Island’s South Shore, while protecting wildlife and habitat and the safety of trail users and all mariners. The South Shore Blueway Trail is consistent with recommendations of the South Shore Estuary Reserve Comprehensive Management Plan by enhancing public use and enjoyment of the estuary and promoting public stewardship through increased education and outreach. 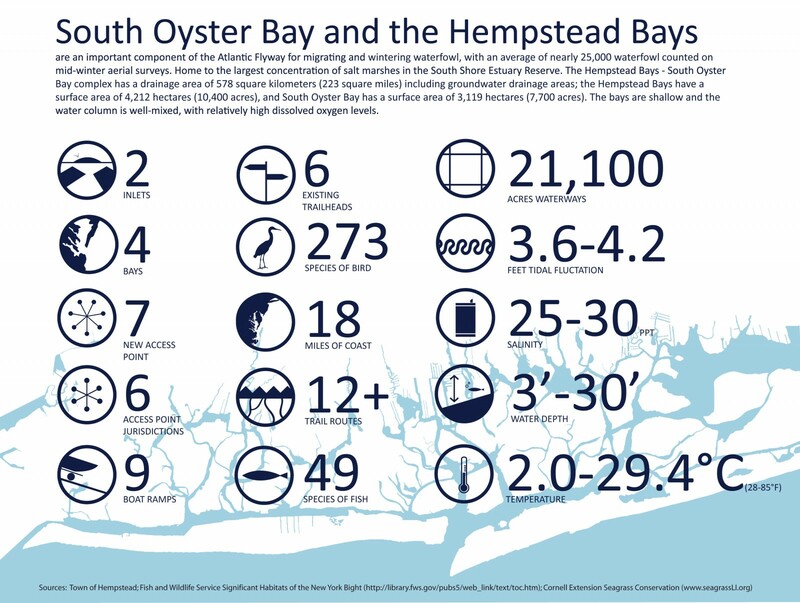 In addition to its recreational value, the South Shore Blueway Trail will benefit area businesses as it attracts visiting paddlers from across Long Island and the region. Equally important, the new Blueway Trail will promote environmental stewardship, a healthy lifestyle, and safe use of local waterways. 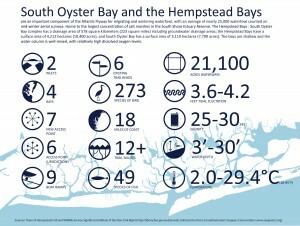 The project was approved as part of the 2006 Nassau County Environmental Bond Act Program. In 2008, the Village of Freeport joined with Nassau County and obtained matching funds from a Local Waterfront Revitalization (LWR) Grant from the New York State Department of State under Title 11 of the Environmental Protection Fund. The South Shore Blueway Trail provides safe recreation where families and groups can explore the natural beauty and cultural wonders of Long Island’s south shore —easily accessible by all. The trail highlights community connections between people and places, thus encouraging residents and visitors to enjoy recreational, educational and scenic experiences that encourage environmental stewardship, promote healthy lifestyles and are sustainable. As a regional trail, the South shore Blueway Trail will improve quality of life, yield economic benefits to local communities, and enhance environmental quality, in particular water resources. An overarching goal is for the blueway trail to be expanded across the South Shore Estuary Reserve and for the trail to be recognized as a National Recreational Trail system—and recognized for local and regional significance—thereby increasing prospects for funding trail implementation.